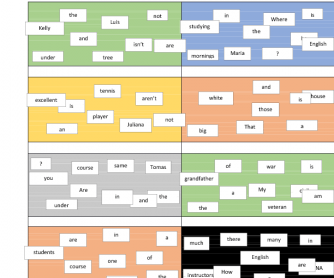 This worksheet is intended to review and work on some of the structures of the verb to be in its different uses (roles, descriptions, localization, there is/are, present continuous). 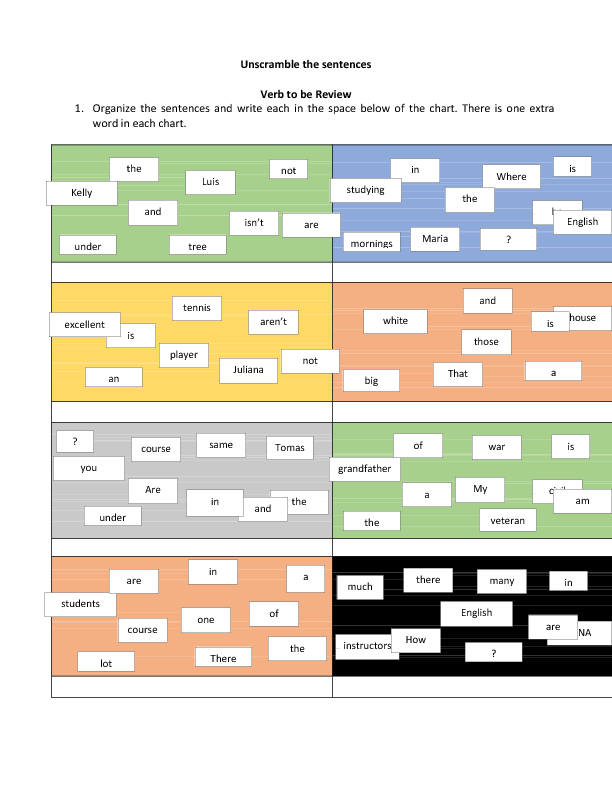 It includes an unscramble sentences activity and filling the blanks. Students can work in pairs or individually.